Ben-Amun crystal peacock clip-on earrings. Polished silvertone plated pewter hardware. 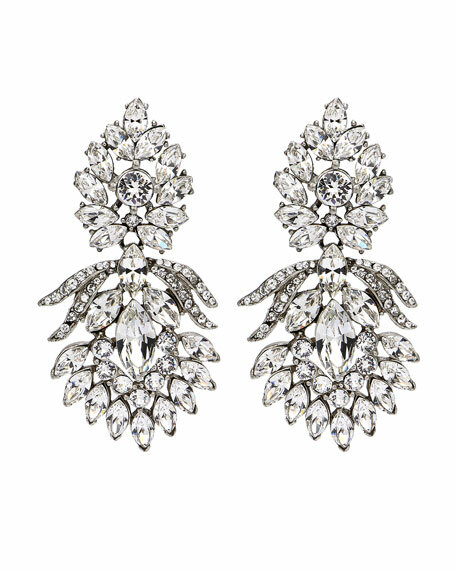 Prong-set clear marquise and circle crystals.